The Darfuri refugees in eastern Chad categorically refuse to join the voluntary repatriation programme in the current insecure climate. The refugees set the restoration of the rule of law, disarmament of the militias, prosecution of the perpetrators of war crimes, and compensation, as conditions for their voluntary return. A delegation of the UN refugee agency (UNHCR) and a representative of the Chadian government, held a meeting with refugee leaders in the Djabal camp on Tuesday concerning the voluntary repatriation programme, as agreed between the UNHCR and the Sudanese and Chadian authorities in September. “They told us that a Sudanese delegation will visit the camps in November to prepare for the return of the refugees,” El Zein Mohamed Ahmed, Radio Dabanga correspondent in eastern Chad reported. 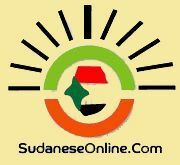 “The refugee elders and sheikhs asserted their categorical rejection of the voluntary repatriation programme while the situation in most parts of Darfur is still extremely unsafe and insecure,” he said. On 21 September, the Sudanese Commissioner for Refugees’ Affairs, Hamad El Jezouli, announced the signing of a tripartite agreement between the UNHCR, Sudan, and Chad to repatriate 300,000 Sudanese refugees and some 8,500 Chadian refugees to their respective countries within the framework of the voluntary repatriation programme. He explained that the areas that will accommodate the Sudanese refugees returning from Chad to Darfur “are ready and equipped with all required utilities and housing services”. The Acting North Darfur Governor Adam Mohamed Hamed El Nahla told reporters that the government is cooperating with the UNHCR, the Darfur Regional Authority, and the governmental Humanitarian Affairs Commission to facilitate the return of the Darfuri refugees from eastern Chad. He said that more than 30,000 people had already returned to Um Baru and Karnoi localities in North Darfur. Yet, Mohamed Minawi, MP for Um Baru and Karnoi constituencies, reported the arrival of not more than 100 refugee families from Chad at Karnoi locality. 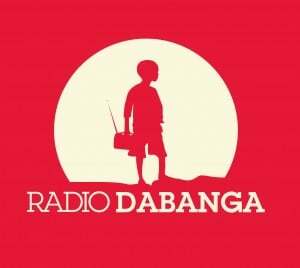 The head of the Touloum refugee camp told Radio Dabanga at the time that the Darfuri refugees would love to return to their places of origin, but that the implementation of a repatriation programme requires a secure situation. El Zein added that the Education Council of the Djabal refugee camp has imposed monthly school fees of 100 Franc ($0.17) per pupil and the same amount to be paid for the registration, in support of the teachers’ salaries.